It has to be appreciated that choosing the right promo item is not always a rule of the thumb; it calls upon creativity and dedication to get a right one. The gift could either be a flashy one or one made for the high end market but as long as it fulfills that marketing objective; that can be a perfect fit. Quality, sophistication and simplicity should be entwined in the promo item attributes. In the selection of these items, make sure you do a thorough research on the web as there are many sites that feature business promo items. Find a way of measuring the effectiveness of the gifts that you choose and ensure they have the right impact. One of the techniques that have proved to be valuable in the selection of promo items is that which works towards enhancing your corporate image. As earlier put, branding is very important and the promo items selected should send a clear message towards the same direction of corporate uniqueness. Let the promo item remind the recipients of how unique your company stands in terms of its services and products. Inasmuch as you may want to please and make your stakeholders happy, you don’t have to break the bank to do that. Avoid incurring huge expenses in the acquisition of promo items. It just takes creativity and good research to come out with a very brilliant promo idea. Remember expensive items could also send a message of extravagance and wastefulness when it comes to the management of the company resources. This will in effect erode all the gains the promo campaign is intended to achieve. Let the packaging, colors and the item selected portray the humility of purpose that your business stands for instead of the expensive luster that it is not. On the contrary, dishing out cheap items can also have a negative impact too. There is an image and reputation to be protected and maintained. The effectiveness of promo items are measured from the stand point of the recipient and not the giver of the item. It is thus imperative that their tastes and preferences are well taken care of. Avoid giving promo items that only target a few of the recipients while the rest are left out. Let your items be all encompassing; giving value to all. Although it may be difficult to take care of each and every taste of the recipients, a gift item which serves general needs can be appropriate. A calendar, a mug or a t-shirt for instance have general features that almost all the recipients like and find useful. You can also consider segmenting the promo items to fit into the different needs and tastes of your recipient groups. Employees for instance could be given different items from the customers or the business associates. 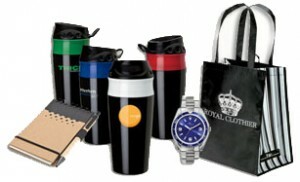 Business promo items are therefore a perfect way of enhancing the brand image of your business establishment while at the same item generating interest and making your stakeholders aware of your products and their unique features. They help in the building of long-term relationships while boosting the morale of the recipients’ a move which could impact positively on customer loyalty. Brand image of your business is very important to move your business forward. The author of this article Ashley Williamson has stamped her authority in business advisory services. She is from USA and has been writing about business and many New York promotional products.